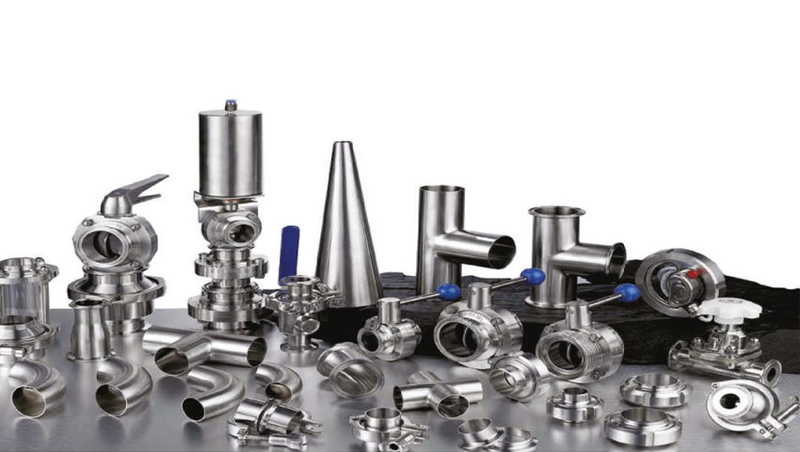 Pioneers in the industry, we offer loop piping distribution, water distribution system, orbital welding for pharma tubing, distribution loop piping, utility piping and wfi pw distribution system from India. 100% orbital welded with closed head Orbital welding machines. In order to meet the PW and WFI Quality Objectives, the US FDA recommends generation of PW and WFI required for Pharmaceutical and Biotech industries. Water Distribution Systems are designed to store and distribute PW and WFI water to various user points maintaining the generated water quality. We at GT Metals & Tubes, undertake turnkey orbital welding jobs with the supply of world class fittings and tubing/piping. We also undertake subcontracting jobs for orbital welding. We have our own 3 states of the art orbital welding machines. More machines are available on requirement. The welding machines are microprocessor based withheld documentation facility. We use only genuine electrodes/consumables as specified by the manufacturer so that quality of the weld will be identical. All the support equipment like tube facing machines, flow measurement devices, etc are from world class manufacturers. The water distribution loop must be made from sanitary materials of the same characteristics as those of the storage and distribution skid. The main characteristic is that they must be 100% drain-able so they will be designed with gradients towards the points of use so that in the event 0f a shutdown of the installation no water will be retained in the loop. 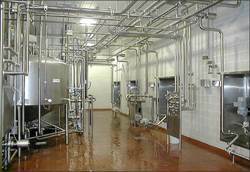 A loop must be correctly insulated in order to minimize heat loss, thus achieving considerable energy saving, and in clean rooms, this must be of stainless steel. The fixing of the installation must be made using hex type sanitary pipe hangers covered with the polymer material (according to the temperature) to minimize the risk of external corrosion of the pipe. 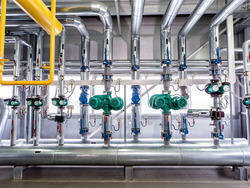 Utility piping to ensure that your plant runs the way it's supposed to. In addition to all of our process system work, we also design and build complete utility systems to support your plant's overall functioning. Treated as an afterthought by many of our competitors, we understand that utility system are essential to your operation, without them, the production line cannot be turned on. Accordingly, we maintain expert-level engineers, construction professionals, and installers who are well versed in utility piping and utility systems, including all of the relevant codes and regulations. 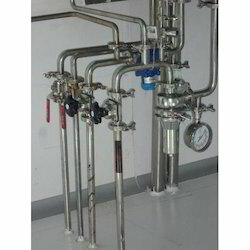 We are the manufacturer of WFI(Water for Injection) PW(Purified Water) Distribution System for Pharmaceuticals. The normal velocity of 2.8 m/s and during peak load velocity of min 1.2 m/s shall be maintained. All possible joints shall be orbital welded remaining joints shall be sanitary tri-clamp type with silicon gaskets.